Gorilla Chief 2 Williams Free Online Slot Machine | Aristocrat Online POKIES Games. Play FREE or Real Slots. Somewhere in an African Jungle, Gorillas, birds and other animals live in peace. It is this jungle that forms the setting of Gorilla Chief 2, a sequel of Gorilla Chief. This online slot is a creation of Williams Interactive (WMS Gaming). Graphically, it is brilliantly designed to bring out this jungle theme and impress bettors. However, there are fire graphics at the corners of your screen which do not fit this theme. All in all, you will fancy its design. Symbols on this online slot match its theme. They include Parrots, Bananas, Iguanas, Leopards, Butterflies, Toucans, Garberas and a couple of African fruits. On your reels, you will see this African jungle although most part hidden by reels. Most online slot machines are animal themed. However, Gorilla Chief II remains unique. You will be playing on 50 fixed paylines over 5 reels and four rows of symbols. Seeing that you are not required to select any paylines, all you have to do is set coin denominations and Spin. Like other WMS slots, this game has a friendly interface and offers players a wide betting range. Line bets range between $0.01 and $5. You can bet a maximum of 200 coins in a single spin. While playing Gorilla Chief 2, you stand a chance to win 750 coins jackpot. At the bottom of your gaming screen are game controls. These are standard game controls which enable you set your coin denomination, access help, quit game, spin reels and set reels on automatic play. There is also a Quick Bet button which enables you set your bet and spin fast. Green Gorilla face serves as a wild in this online slot. It replaces other gaming symbols to complete winning combos. It does not, however, replace Sunset symbols which serves as a scatter and your gateway to free spins. Wild Gorilla will only land on reels 2, 3, 4 and 5. Simply, this symbol heightens your chances of hitting a winning combination. Free spins bonus round is triggered when you land at least three Sunset symbols anywhere in view. 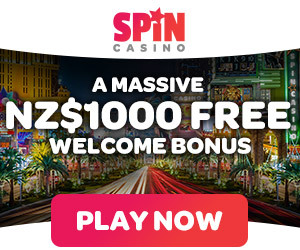 Initially, you are awarded 10 free spins. This feature can be re-triggered; land three or more scatters during feature and get 10 more free spins. During this round, you will be awarded more wilds to up your chances of creating winning combinations. One of this slots best bonuses is Hot Hot Super Respin feature which can also be triggered during free spins. This respin feature gives you a chance to scoop loads of money from Gorilla Chief 2 online slot. This feature requires an additional wager, up to 15x your line bet for every 2 lines. Wins from respins are added to your total bet. You will be awarded 2 respins if you get stacked symbols on reel 1. Reel one will be locked in place and wilds and other matching symbols will be locked in place too. How Does Gorilla Chief 2 Score? This online slot has great bonus features, its graphics are good but may need a bit of improvement, it offers 96 percent RTP and it is interesting to play. This and other factors have upped its popularity among online punters. It is a casino slot worth a try and as such we rate it 8 from 10 in our review. Google + Profile: Tina Lim on January 20, 2016. on September 9, 2016.